Dr. Caponera will consider surgical orthodontic treatment for non-growing adult patients with improper bites and those with facial aesthetic concerns. Jaw growth is usually completed by age 16 for girls and 18 for boys. All growth must be completed before jaw surgery can be performed. However the pre-surgical tooth movements can begin one to two years prior to these ages. When you have completed surgery, you should be able to return to school or work within two weeks. After the necessary healing time (about 4–8 weeks), Dr. Caponera fine-tunes your bite. 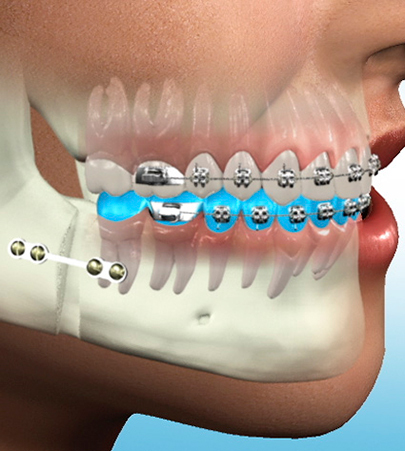 In most cases, braces are removed within 6–12 months following surgery. After your braces are removed, you will wear a retainer to maintain your beautiful new smile.